Pinto beans have been the most consumed bean in the United States from the late 1980s to 2010, according to the U.S. Department of Agriculture. They also are commonly produced in India, China and Brazil. Pinto beans are high in fiber, protein and other vitamins but very low in fat. 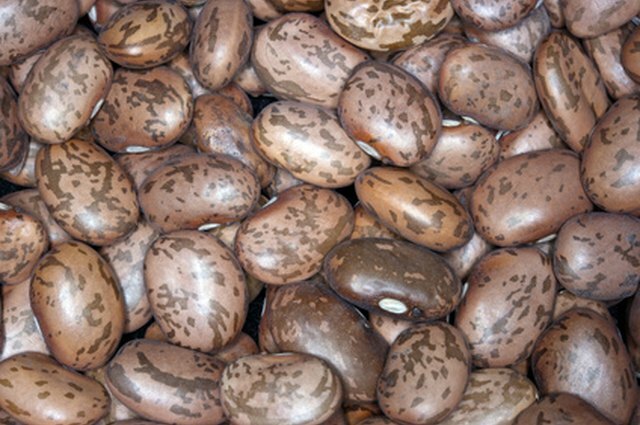 Before pinto beans are cooked, they are a beige-and-reddish color. When preparing your pinto beans, you need to prevent them from darkening because the end result should be a light-pink color. 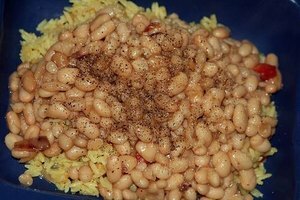 Spread your pinto beans out on a light-colored dish, and pick through the beans. You want to discard any shriveled or cracked beans and pick out any small stones or debris. Put the beans in a strainer, and rinse them with cold water. Place the beans in a saucepan. Pour 2 cups of water per 1 cup of beans. Boil the beans for two minutes, and then take the saucepan off the heat. 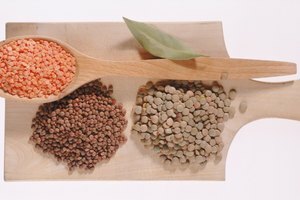 Hot water helps prevent beans from darkening and bursting. Cover the beans, and let them soak for two hours. 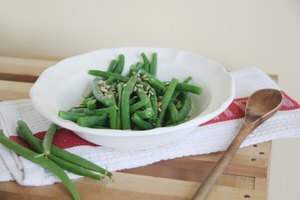 Soaking shortens the cooking time of the beans and makes them easier to digest. Covering the beans while they soak helps prevent them from darkening. Strain the water out of the beans. Rinse the beans again with cool water. You pinto beans are ready to cook and will not darken.